Hello everyone! How's your weekend? I've been really happy lately because of all the wonderful things that has been happening on my hobby life! My dream of getting featured on a travel website just came true! You all know how much I love traveling and my toys are having a share of my adventures already. 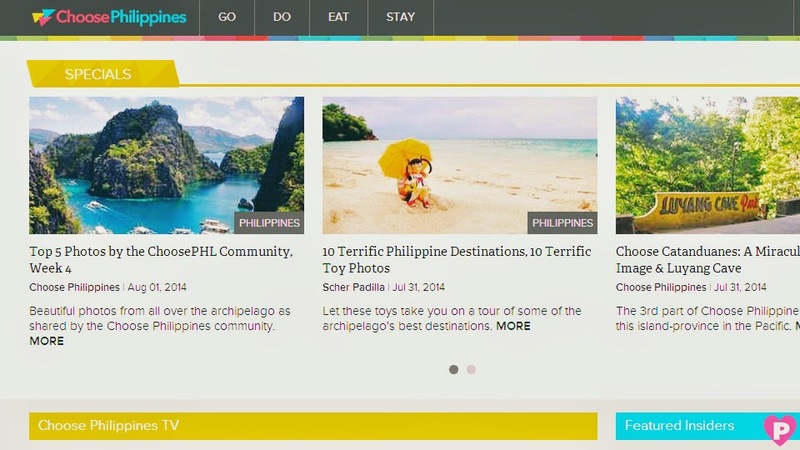 Getting featured at Choose Philippines with a million fans is such a huge achievement for me! It's like hitting two birds at one stone: I was able to promote the beauty of my country through toy photography while enjoying my hobby at the same time. Here's the link to my article. 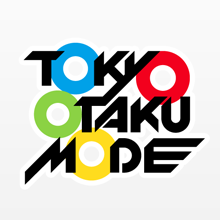 First, it was Good Smile Company. 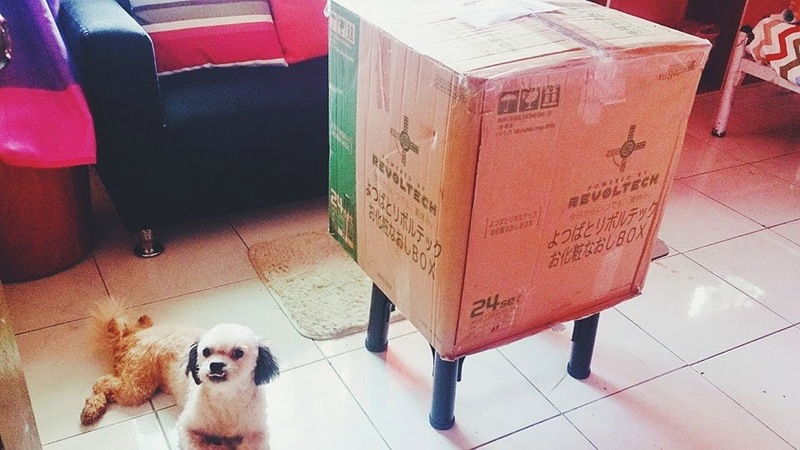 Then, Kotobukiya Philippines sent me this huge package full of scale figures for figure photography! I'm super duper happy! Boss guards the package with his own life. I'm overwhelmed and thankful for their trust in letting me take figure photos for these babies! Oh God, you just don't know how much I miss taking photos of scale figures that much. Last probably was a year ago, I did photos of Momohime (Alter), Ryougi Shiki and Saber (Good Smile Company), and this time I'm taking photos of Kotobukiya figures! OMG! :D Thank you! Thank you! Now, I am feeling crafty again this week so I made my own shoji window! (well door, prolly but I guess it's okay lol) I just used these on my previous figure photoshoots and I might as well share how I made it. I did these at different times of the day so prolly you'd notice the change in lighting in some pictures which I took using my camera phone wahaha! 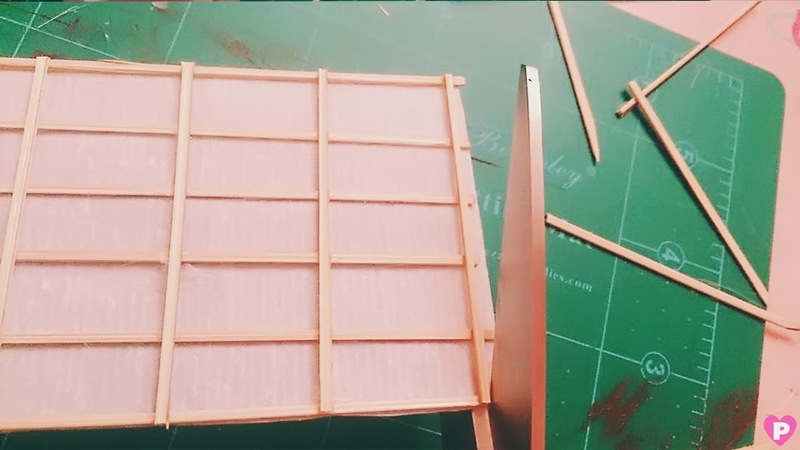 A shoji window/door is a staple in a typical Japanese home, and I'm gonna teach you guys how to make your own mini shoji for your figures. 1. Barbeque sticks - I bought these at the local market for just PHP10.00 per bundle. Buy the medium sized sticks, although it doesn't matter because we're gonna cut them anyway. 4. Paper - I used a parchment paper for this one. My first shoji windows which I used here was made of cookie sheet. But since I ran out of it and parchment paper is the only white paper available on my stash, I used it then. You may use bond paper or a white japanese paper. 1. 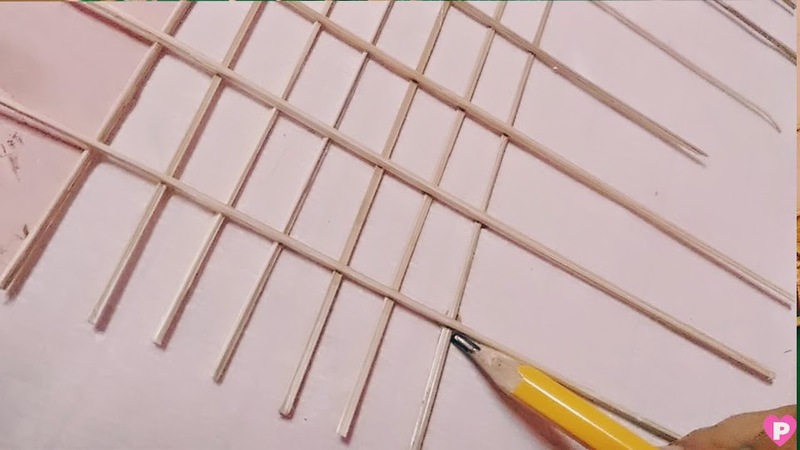 First, take the barbeque stick and cut it into a thin piece as shown in the picture. One stick gave me two thin pieces. I don't have a specific measurement for how thin it is, but it's up to you. Well you wouldn't want fat window panels right? So cut it in the right size haha :) I managed to cut 14 pieces for one shoji window. 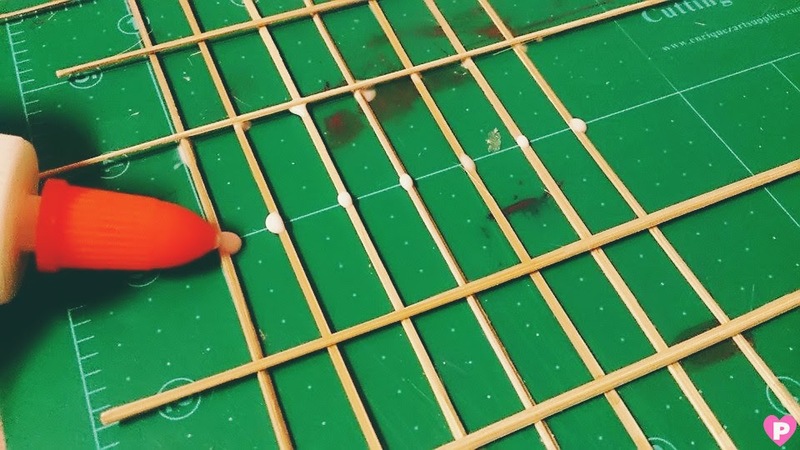 Drag the cutter all the way to the bottom of the stick. 2. 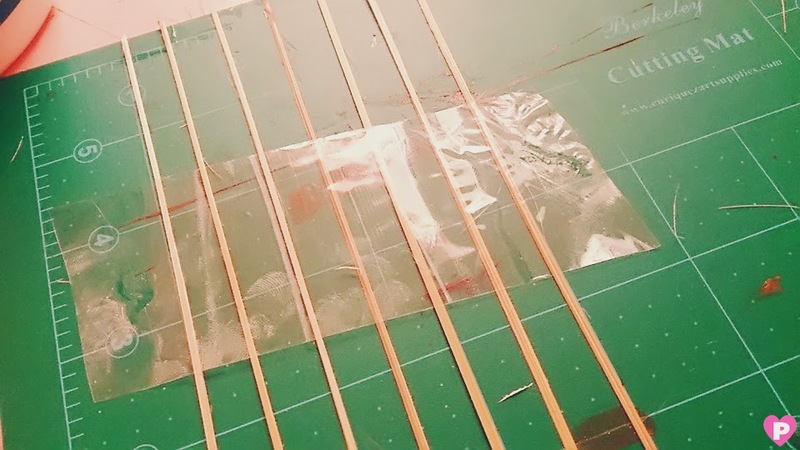 After cutting, I aligned them on my cutting mat and placed a scotch tape at the middle to make them stay in place while gluing the other sticks. 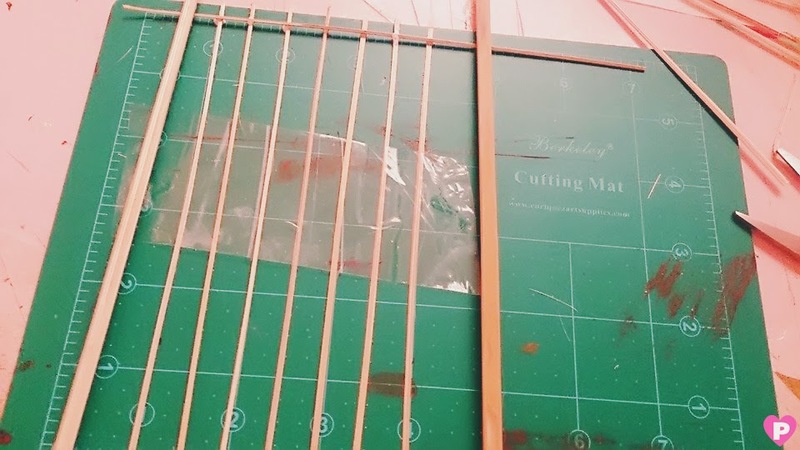 *BTW, my cutting mat is measured 5 inches so I based my window at the same height. 3. 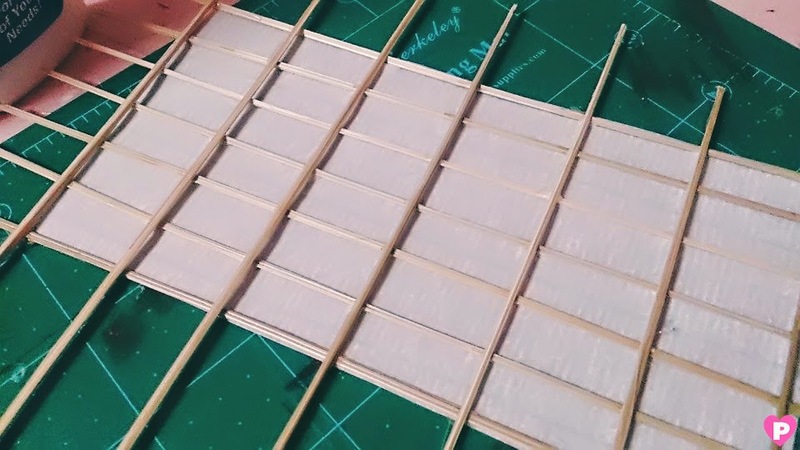 Glue the first piece on top then use some weight to press them down. 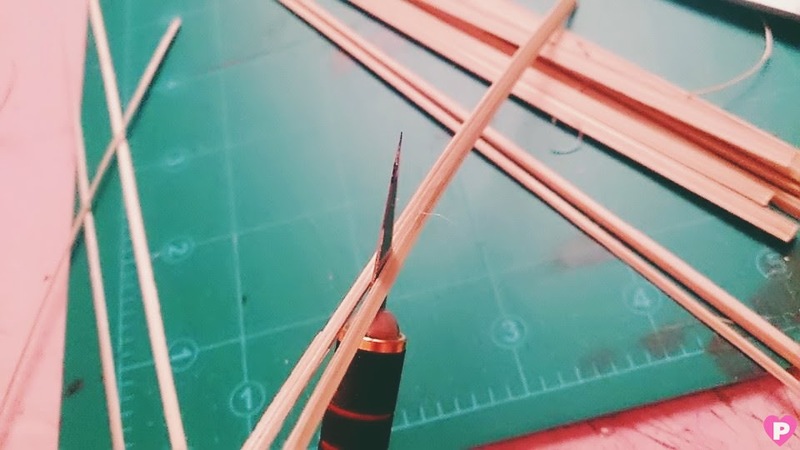 For this sample, I used two barbeque sticks to weigh them down without adding too much pressure on the thin sticks. 4. 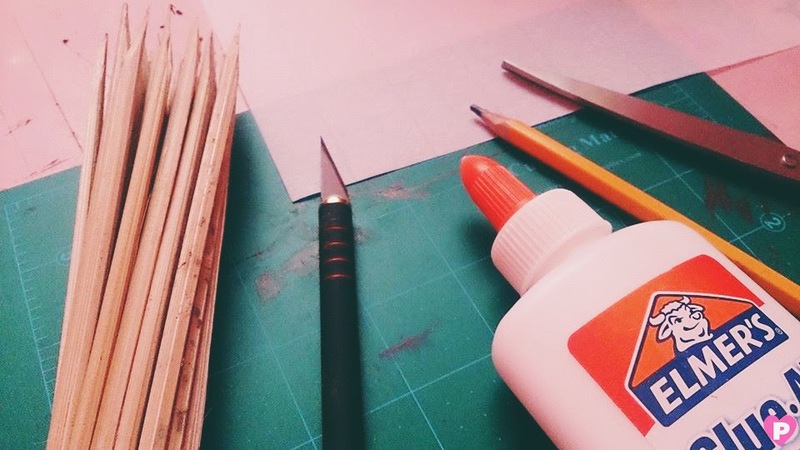 Continue gluing the sticks on top and let them dry for a few minutes. 5. The outcome of the first panel should look like this. 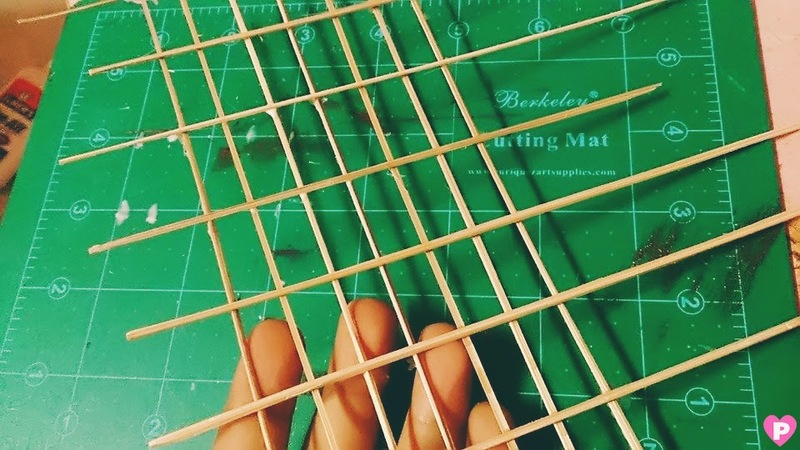 Make sure not to bend the frame too much or you wouldn't be able to align them together! 6. Now, take the frame and trace it on paper. Don't mind those portruding sticks for now, we'll take care of that later. 7. 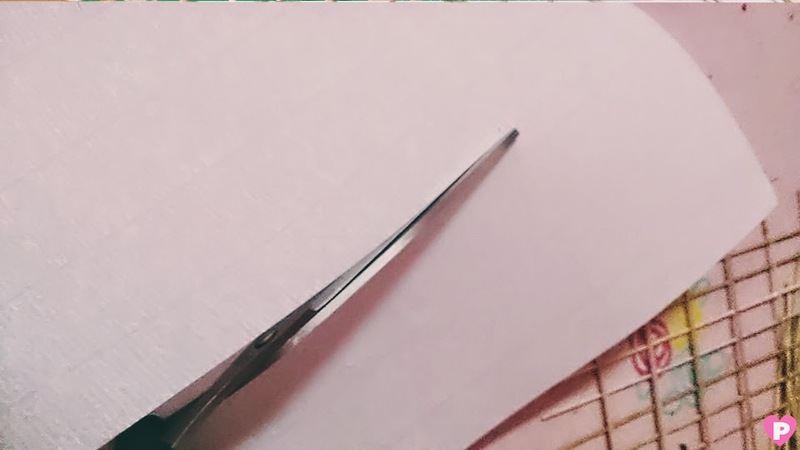 Cut the paper after tracing it. 8. 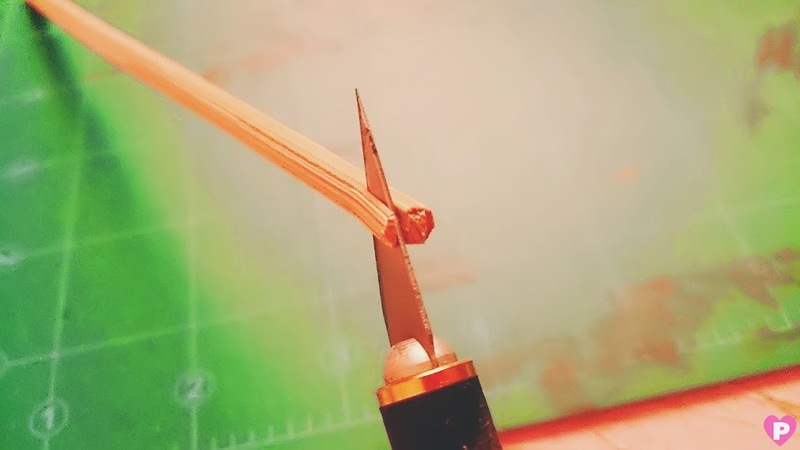 Carefully glue the paper on the frame. 9. Let it dry for a few minutes. 10. 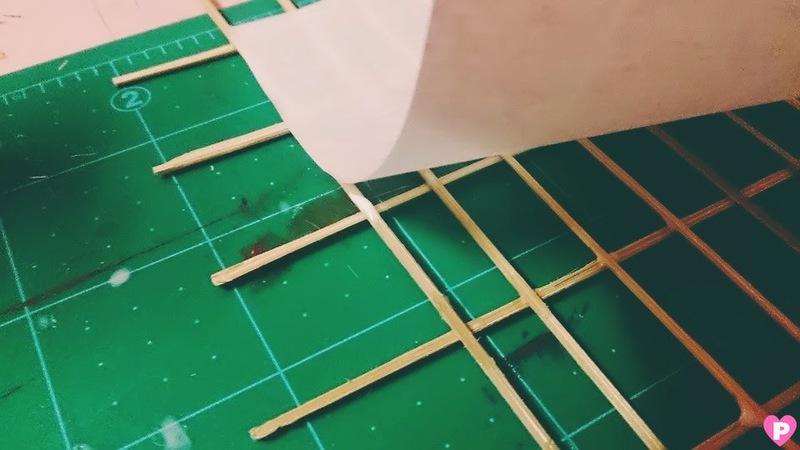 Once it dries, you may now cut those excessive sticks that stick out of the window to make it look cleaner. 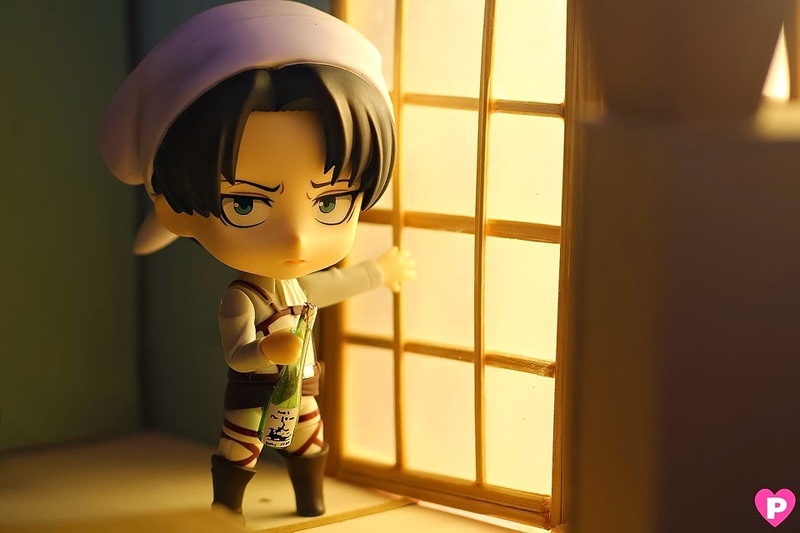 Shoji windows are a great accessory for figure photography! It gives your figures a Japanese home-y feel. I also used it for Levi's mini room! I hope you like this tutorial! Feel free to share your thoughts on the comment box or visit me at my Facebook page! Can I ask how can you make the window stand like that :3 ? You're welcome! 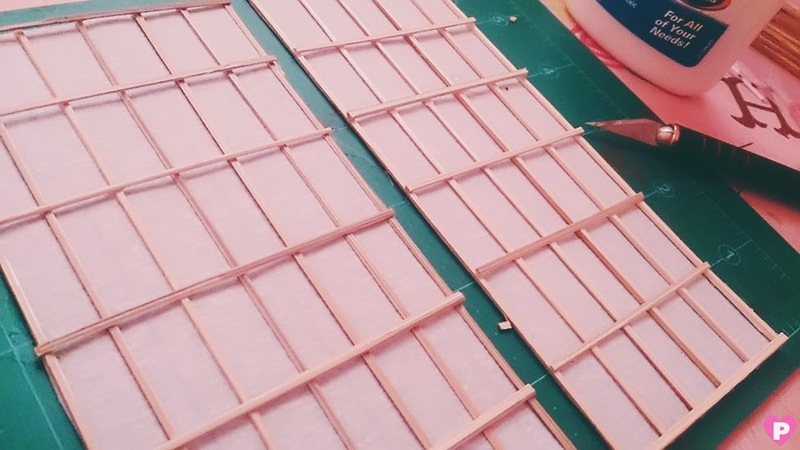 I hope you make good Shoji windows soon!